People with Alzheimer's disease may take medications to treat the disease itself, behavior changes, and other medical conditions. Caregivers need to know about each medicine the person takes. A doctor or pharmacist can answer questions about medicines. Why is this medicine being used? What positive effects should I look for, and when? How long will the person need to take it? How much should he or she take each day? When does the person need to take the medicine? Can the medicine be crushed and mixed into foods such as applesauce? Can I get the medicine in a liquid form? Can this medicine cause problems if taken with other medicines? People with Alzheimer's disease often need help taking medicine. If the person lives alone, you may need to call and remind him or her. A pillbox can keep all the pills in one place. As the disease gets worse, you will need to make sure the person takes the medicine, or you will need to give him or her the medicine yourself. Currently, four medicines are approved to treat Alzheimer's disease: It's important to understand that none of the four medicines can cure or stop the disease. What they can do, for some people, is help them improve for a while from where they started. Most of the time, these medicines work to slow down certain problems, such as memory loss. Slowing down memory loss can allow many people with Alzheimer's to be more comfortable and independent for a longer time. If appropriate, the person's doctor may prescribe a medicine to treat behavior problems such as anxiety, depression, and aggression. Medicines to treat these behavior problems should be used only after other strategies have been tried. Talk with the doctor about which medicines are safest and most effective. Certain medicines, such as sleep aids, anti-anxiety drugs, and antipsychotics (used to treat paranoia, hallucinations, sleeplessness, agitation, and aggression), should be taken cautiously. Someone with Alzheimer's should take these medicines only after the doctor has explained all risks and side effects and after other, safer medicines have been tried. You will need to watch closely for side effects. People with Alzheimer's should not take anticholinergic drugs, which are medicines used to treat medical problems such as stomach cramps, incontinence, asthma, motion sickness, and muscle spasms. Side effects, such as confusion, can be serious for a person with Alzheimer's. These drugs include Atrovent®, Combivent®, DuoNeb®, and Spiriva®. Many people with Alzheimer's disease have other medical problems, such as diabetes, high blood pressure, or heart disease. They may take different medicines for these conditions. Make a list of all of the person's medicines to take with you when you visit the doctor. For more information, see The Medical Side of AD. 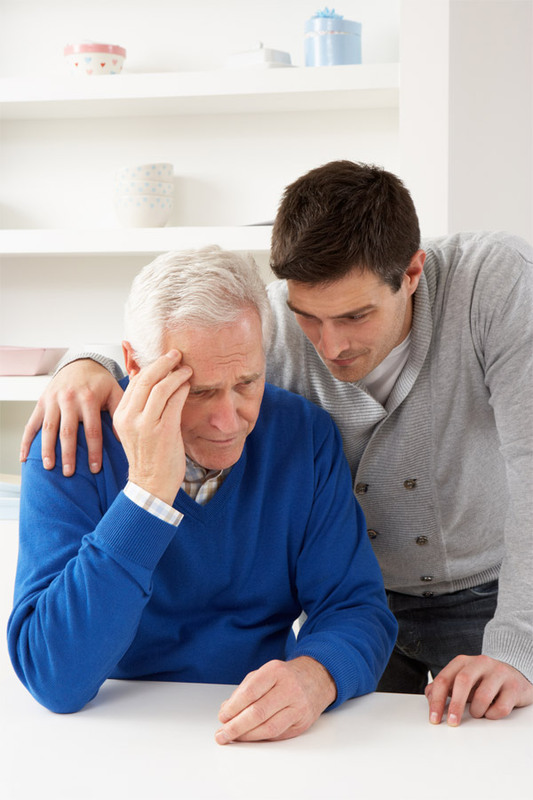 For information about Alzheimer's medicines, see the Alzheimer's Disease Medications Fact Sheet.